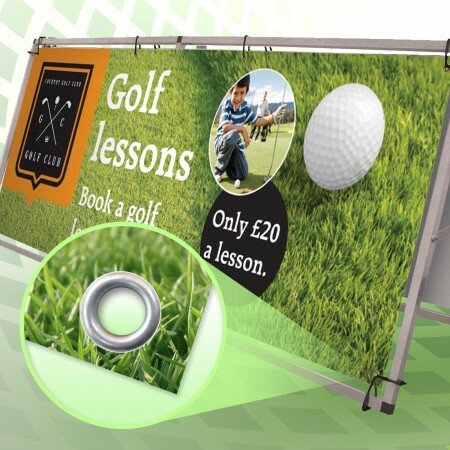 A banner provides a flexible, portable and affordable way to display your message in many places, indoors or out, making them the ideal choice for just about any message you wish to convey. The newest in vinyl banner printing and digital technology just got newer with indoor and outdoor full colour banner printing. Depending on your banner printing needs, our digitally printed banners are printed on fully hemmed and grommeted heavy duty outdoor vinyl banner material utilizing the newest banner printing technology. Select from our most popular sizes, or contact us for your specific requirements. We can make banners to almost any size and combination. To ensure long lasting, exceptional quality we print our banners on to high quality 440gsm PVC Material with fade-resistant ultra violet inks to enhance their durability and make them safe for outdoor use. Don’t worry! Our professional in-house design team can create you a professional artwork for a crazy lowprice.